Without USB Function, Can Not Video Or Photo! 2: Display: 4.3 inches HD OLED display. 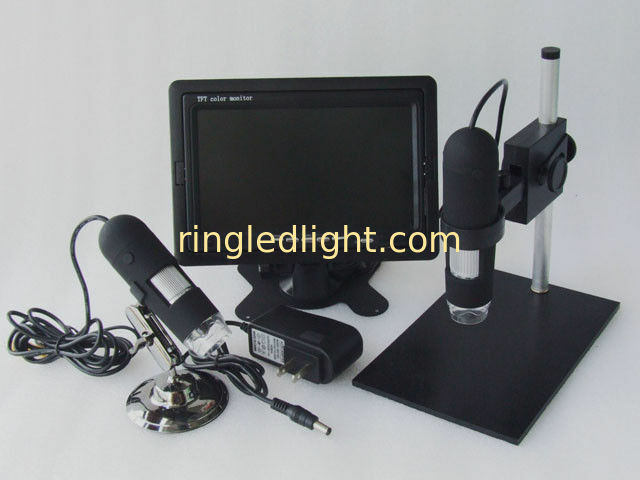 4: Magnification: 1-600X continuous magnification system. 6: With built-in lithium battery, Continuous working for 6 hours . 7: Languages: English, Spanish, Russian, Korean, Japanese, Thai, Hebrew, Portuguese, German, French, Italy, Turkey, Czech, Poland, Traditional Chinese, simplified Chinese. 4. Cyclic Record : off /3 minutes /5 minutes /10 minutes. In the memory card is full, it will delete the first video and save the new video automatically.